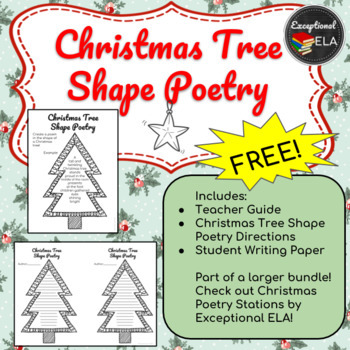 Free: Christmas Tree Shape Poetry for Secondary ELA! 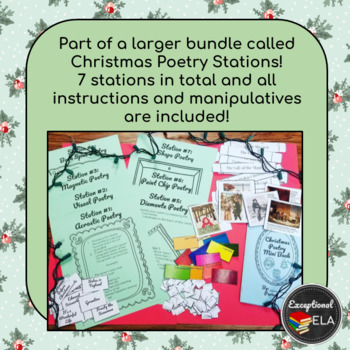 This resource is part of a larger bundle called Christmas Poetry Stations! 7 stations in total and all instructions and manipulatives are included! 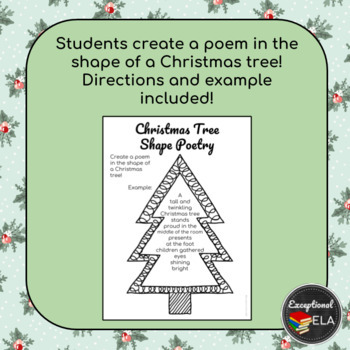 Using this resource, students write a creative Christmas poem in a Christmas tree shape! Students record their writing on the special paper included! Hang them up on a Christmas bulletin board when everyone's done! 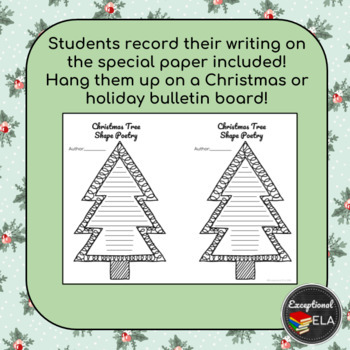 Christmas Poetry Stations: Get the full version of this resource! Halloween Poetry Stations: Have students write Halloween themed poetry in 7 unique stations! Valentine's Poetry Stations: Have students write Valentine themed poetry in 7 unique stations!